We must have zoned out while the teacher was talking about quadrilaterals back in our junior high geometry class, because we're always getting confused. Is a rhombus a rectangle? Are all squares parallelograms? What exactly are we supposed to think about trapezoids? Luckily, we don't get asked trick questions anymore. They're usually much more straightforward, like: can wearing this Child Tarantula Hoodie possibly be as much fun as it appears? Yes! Yes! A thousand times yes! When it comes to Halloween costumes or accessories, that's usually the answer. But this one kind of requires some background knowledge of biology, so we're anticipating some follow-ups, like 1. 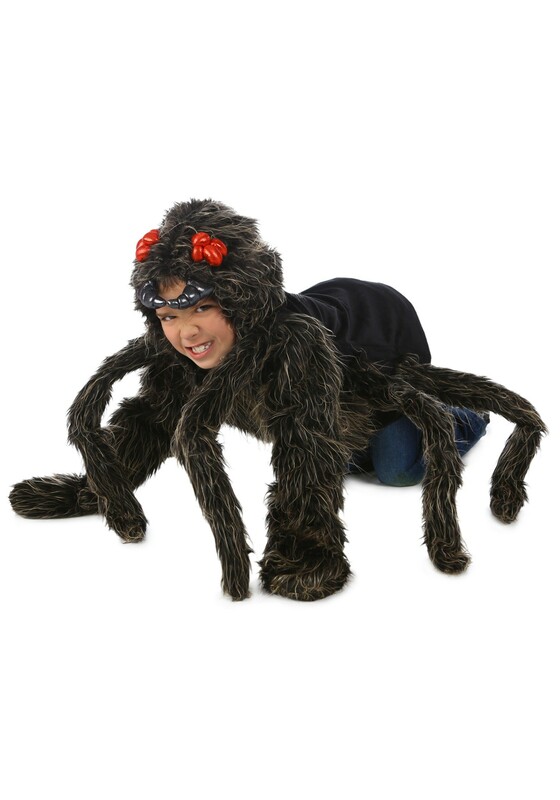 Do all tarantulas have eight eyes? 2. Do all arachnids have eight legs? and 3. Is this one of the best-looking and most accurate spiders ever depicted in outerwear form? Since we get to choose which tests to take nowadays, the correct answers are 1) pretty much, 2) just about, and 3) absolutely!